Very interesting grouping to an Imperial Japanese Army soldier for the Russo Japanese War. 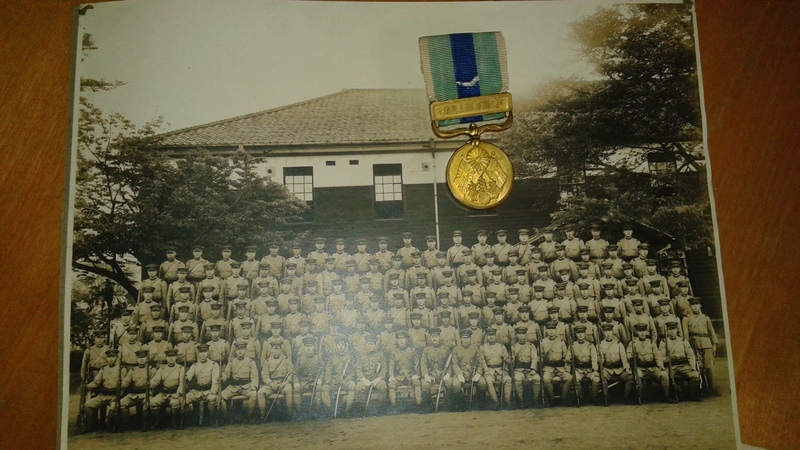 Certificate states the campaign medal was issued to Hoichi Takeichi on the 30th March, 1906. 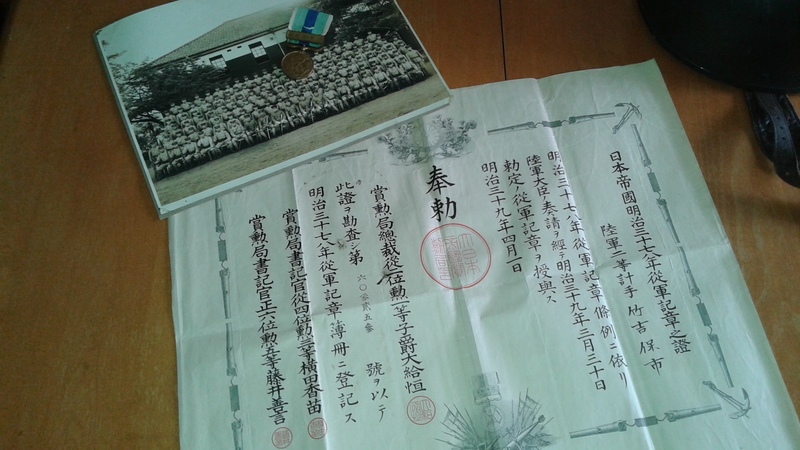 The doc also states that Takeichi was of the rank of second class and his rank relates to something in accounting. Possibly pay master? Grouping also includes a unit shot. Scarce to find a complete grouping all to one soldier.